Straight out of Netherlands comes a brand new Samsung Galaxy S5 render, one that uses the new TouchWiz leaks from the past weeks. This model, that’s now said to launch in March features the same specs we’ve been hearing about and a metallic body that looks quite slim. 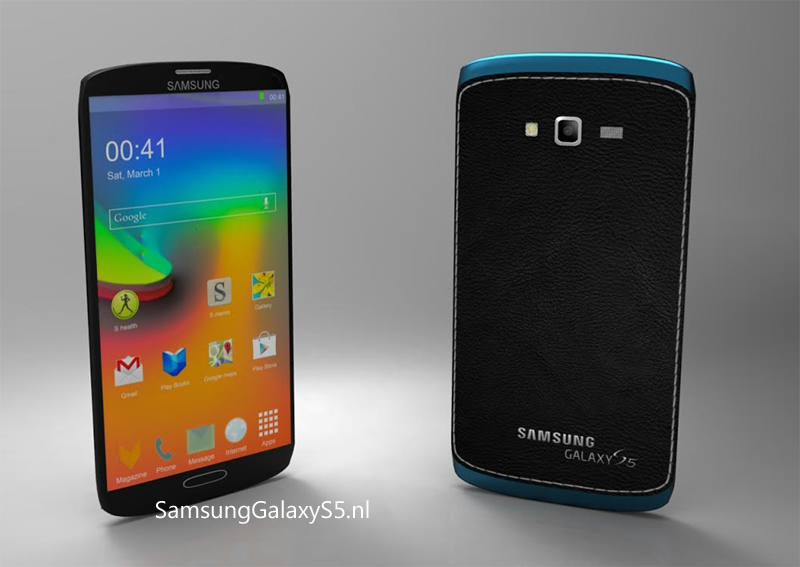 The Galaxy S5 concept shown here is a 5.25 inch one with a Super AMOLED screen and a 2K resolution. It has a 2900 mAh battery with rapid charging technology and a 20 megapixel camera. 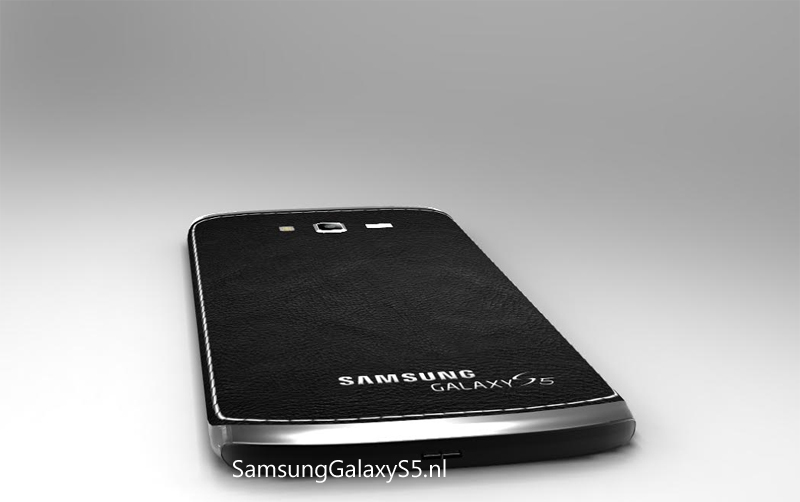 The chassis is made of aluminum and at the back we’ve got a leather imitation with stitching pattern. The glass upfront is protected by Gorilla Glass 3 and the OS on board is Android 4.4 KitKat with TouchWiz UI and a new virtual assistant. 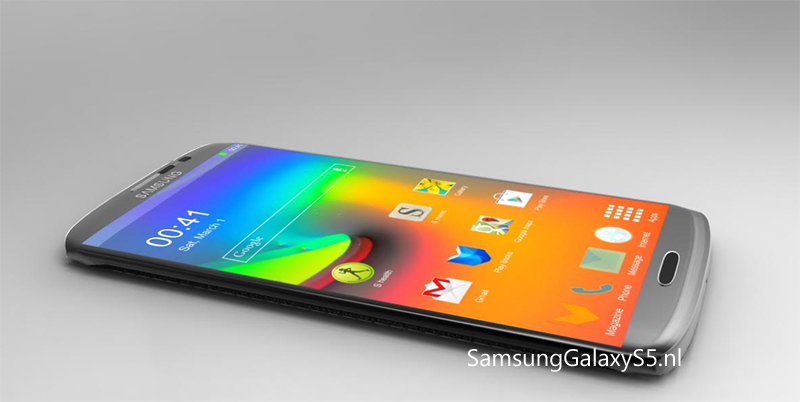 The bezels are very slim and I’m guessing that the back is made of plastic, since it should be a battery cover. 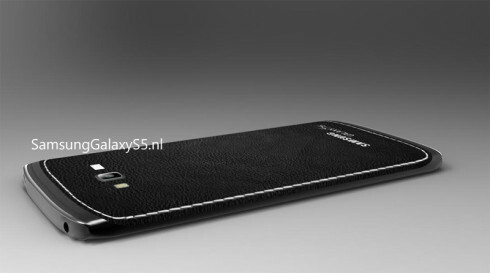 The Samsung Galaxy S5 is said to have given up on the Iris scanner, simply having to do with a fingerprint scanner, that may be integrated into the back or in the lower area of the handset.